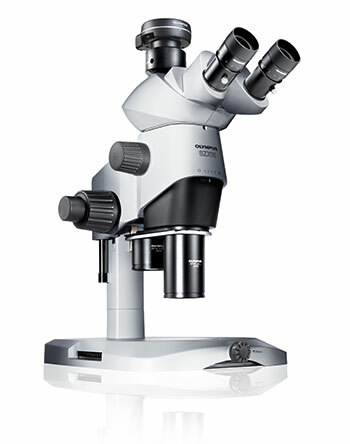 The Olympus SZX10 is designed for routine research. It offers a maximum numerical aperture (NA) of 0.2, producing a resolution of 600 line pairs per millimetre. With this resolution (and peerless magnification) you can make your work more efficient, more precise and gain much more information from your samples. The Olympus SZX10 provides a zoom ratio of 10:1. With the common objective design it is a fully modular system offering a range of options. Its compatibility with different imaging devices enables various application-dedicated configurations in life science.